Effective collaboration is the key to success in all businesses. Whether the company is big or small, every business needs to work together and network to thrive. Employees who work well together are also far more likely to be successful in achieving their individual and organisational objectives than those that do not. Company growth is beneficial to all employees and taking pride in growing a company is important for the careers of all professionals. Employees talk. They talk to their family and their friends and other people they meet in their travels. 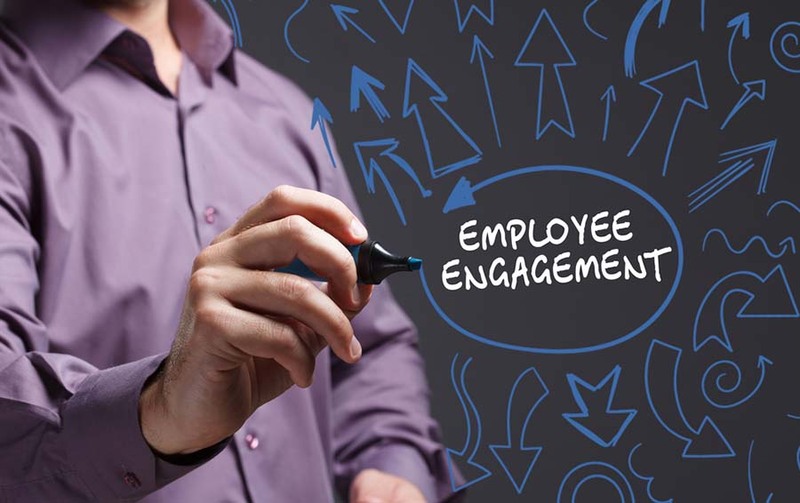 Engaged employees are an effective marketing tool for your company. If employees are happy and engaged, they are more likely to communicate a positive message about your company to others. This will help the company to grow, which then helps the employee in their career development within the company. If you are a team leader in a company, you know exactly what it is like when tough times come around. A disengaged team will quickly look for an exit or an excuse, while an engaged team will know how to pull together when times get tough. Well-developed teams will genuinely want to help and work towards a common goal. Employees who work well together and believe in the work they are doing are far more likely to become more productive. If you are an employee and you want to grow your career within a company, it is important that you are a part of a motivated and productive team. This allows the company itself to maintain a steady growth, ensuring benefits for all parties. A high staff turnover can reduce cohesion and cost money, with new staff needing to be trained to work within a company’s system. Engaged employees will be happier to stay on and build the company, particularly if they can see themselves gaining substantial career growth over the years to come. If your employees are not engaged, they are less likely to come up with creative solutions to problems or suggestions for your company’s growth. Those who are motivated will pitch new ideas and there will be a creative pool to tap into when a company needs to make a new move. If you are looking to pave a brand new career path or you are a professional who is looking to move up in your career, NotedCareers team in Melbourne and Sydney offers complete packages to help you find your dream job. Come see NotedCareers at the Australia China Trade Expo this July. The expo is an excellent platform for effective employee engagement, connecting bilingual and particularly Mandarin speaking job seekers with companies. The expo is free to attend and will run from Friday to Sunday, July 14-16.